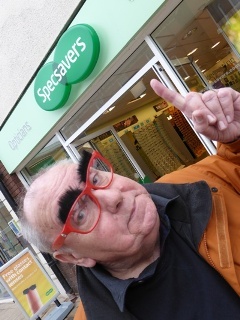 The Solihull Specsavers store has kicked off their Comic Relief fundraising when local funny men Don Maclean and Malcolm Stent visited the store and urged customers to make their faces funny for money. Staff at Solihull Specsavers also saw Paul Peschisolido, ex football player for Birmingham City and husband of Karren Brady, current vice-chairman of West Ham United F.C. 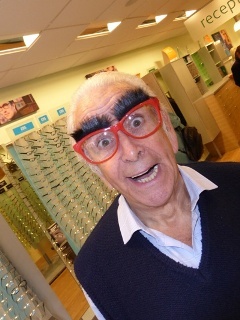 and from the Apprentice fame, drop by and don the comedy specs. The Solihull store will also be kitted out in red on Red Nose Day itself (Friday 13 March) with games and goody bags to give away. 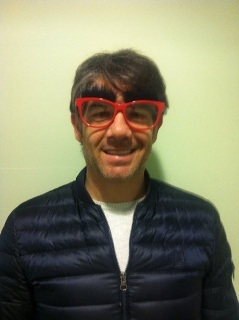 Official Red Nose Day comedy glasses will also be available to purchase for £3, with £1 being donated to Comic Relief.